Last analysis expected to see more sideways movement before the downwards trend resumed. This is mostly what happened. When price breaks below 1,273.43 I will have full confidence in this wave count and the target. Summary: The target for downwards movement to end is at 1,200.89. This target may still be about eight days away. Monday should move price lower to a short term target at 1,267. This analysis is published about 07:40 p.m. EST. 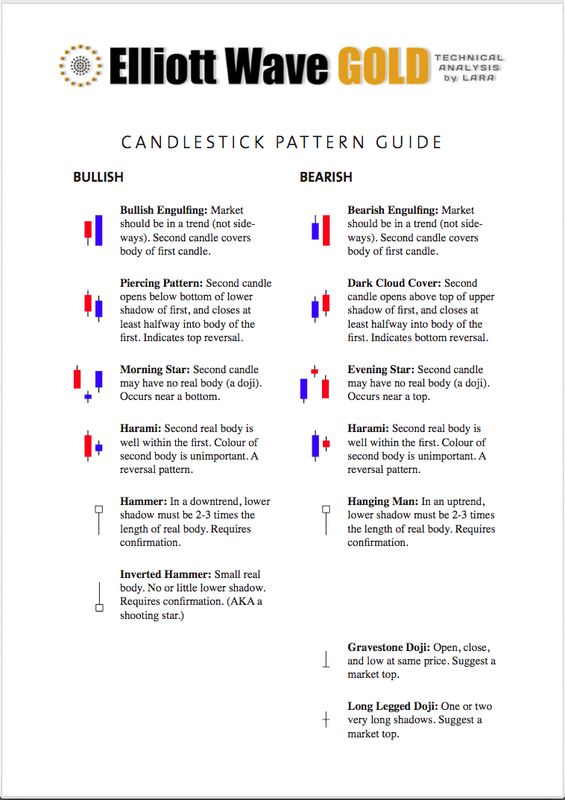 Click on charts to enlarge. Within intermediate wave (Y) minor wave B downwards is an incomplete corrective structure, and at this stage the structure may be either a single zigzag (as labeled here) or a double zigzag (relabel A-B-C to W-X-Y). When minute wave b is finally confirmed as complete then I will have two hourly wave counts for the two possibilities of the next downwards wave: either an impulse for a C wave or a zigzag for a Y wave. The structure of subminuette wave iv is now very likely to be complete. There is alternation in both depth and structure between subminuette waves ii and iv; subminuette wave ii was a deep expanded flat, subminuette wave iv may have been a shallow zigzag. Because there is no Fibonacci ratio between subminuette waves i and iii I would expect to see a Fibonacci ratio between subminuette wave v and either of i or iii. 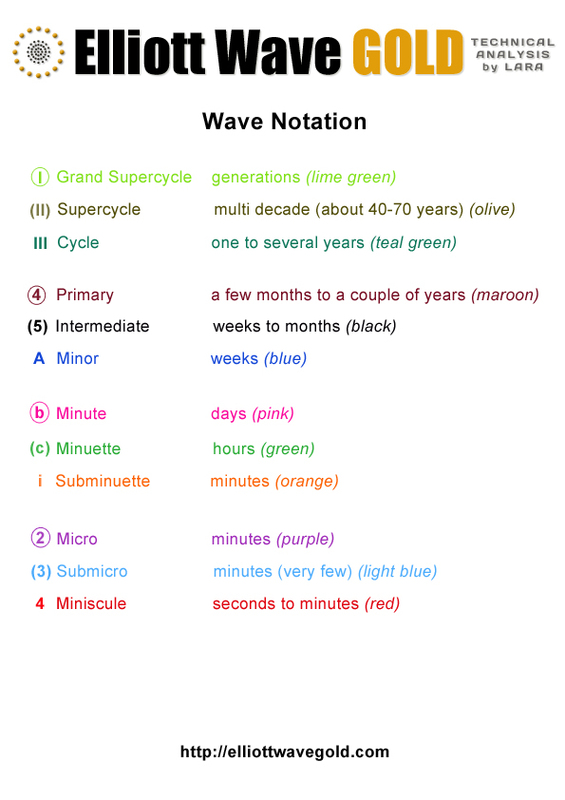 At 1,267 subminuette wave v would reach equality in length with subminuette wave iii. This is the most likely ratio for subminuette wave v and would see it end about the mid line of the parallel channel. 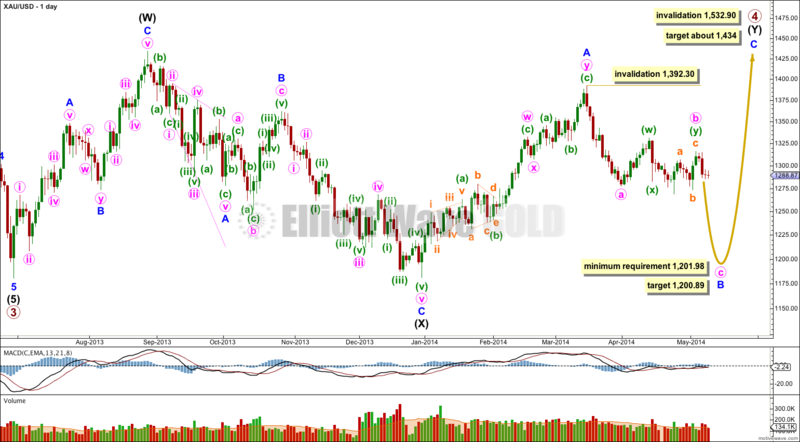 If price moves below 1,273.43 next week then I would have confidence that Gold has broken out of the range it has been trading in for the last 28 days. At that stage I would have more confidence in the target of 1,200.89 on the daily chart. 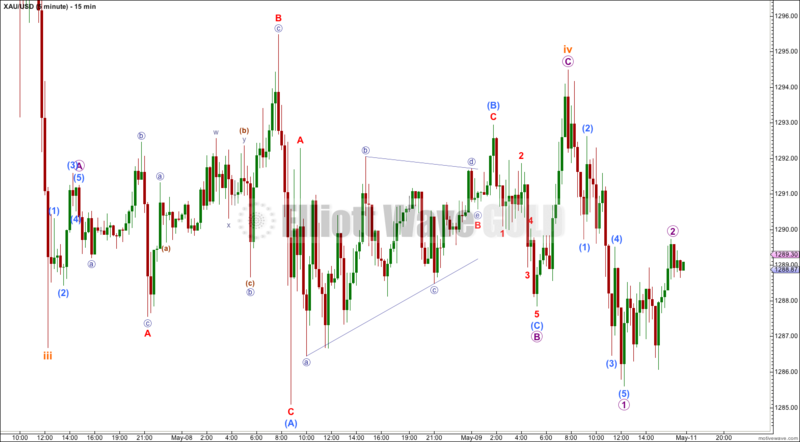 When minuette wave (i) is a clear five down on the hourly chart then I would also have increased confidence in this wave count. We almost have that now. When minuette wave (i) is complete then I would expect to see a correction for minuette wave (ii), the invalidation point would move back up to 1,315.72 and I would expect minuette wave (ii) to last at least two days and probably longer. This may begin mid to end next week. 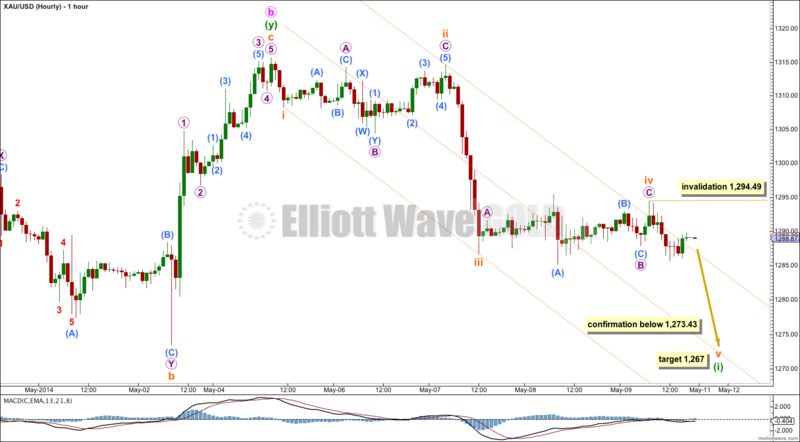 While subminuette wave v is underway no second wave correction may move beyond its start above 1,294.49.